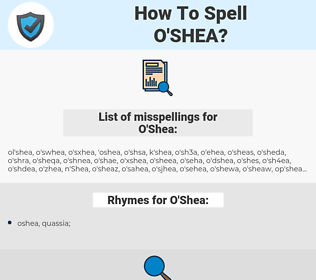 What are the common mistypes for O'Shea? What are the usage examples for O'Shea? What are the rhymes for O'Shea? 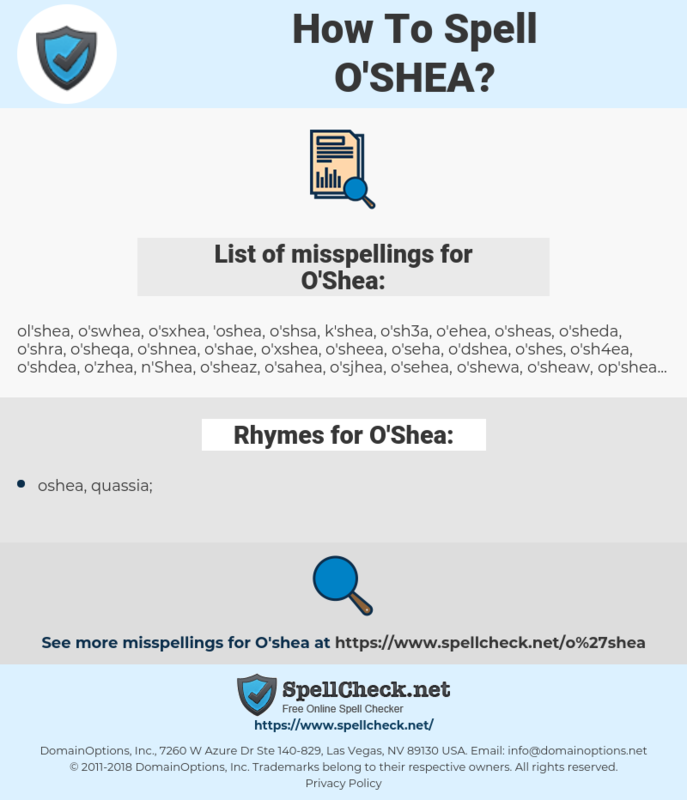 What are the common typos for O'Shea? O'Shea as a boy's name is a variant of O- (Irish), and the meaning of O'Shea is "descendant of". This graph shows how "O'Shea" have occurred between 1800 and 2008 in a corpus of English books.